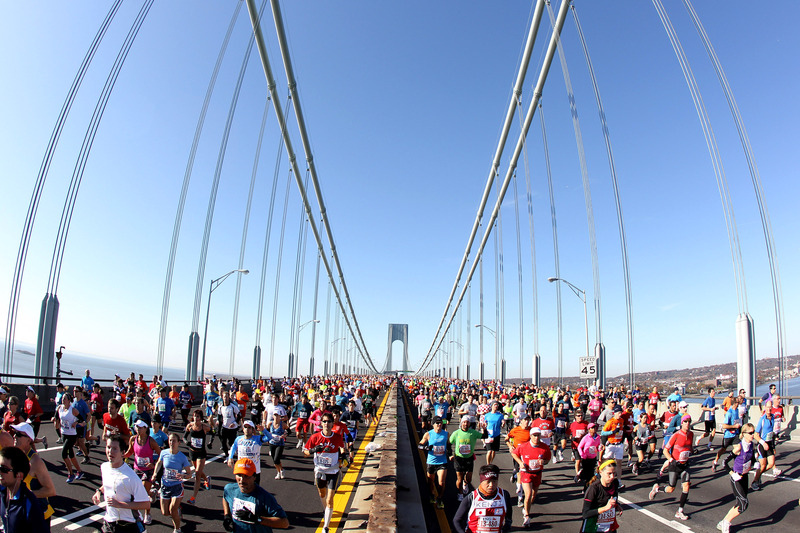 The 2013 New York City Marathon returned the event to its place as New York City’s best day. A record 50,000+ runners finished the race, the most in any marathon ever. 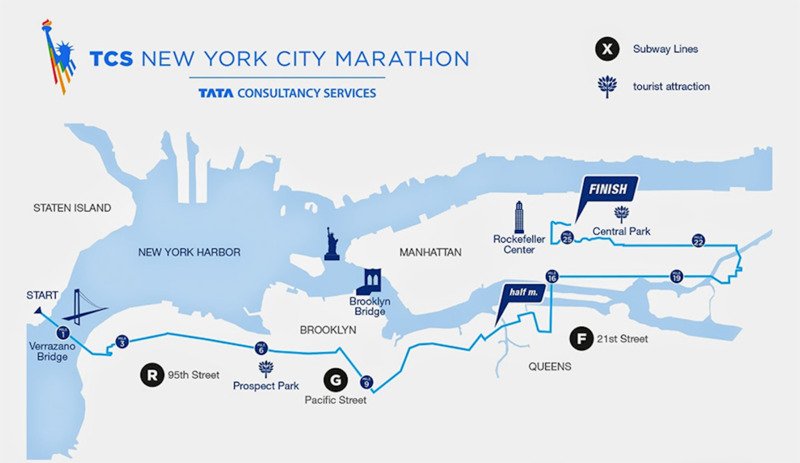 The 2014 TCS New York City Marathon again had a record number of finishers: 50,530. This race is run through all five boroughs, has spectators cheering you on the whole 26.2 miles. The energy is amazing and it is truly a once in a lifetime experience. The 2018 TCS New York City Marathon was fast, historic, and decisive. It wasn’t even a contest for Mary Keitany. The Kenyan won her fourth TCS New York City Marathon title in 2:22:48, the second-fastest women’s time in event history. The men’s race was closer, until Lelisa Desisa of Ethiopia pulled away in Central Park to win in 2:05:59. Perhaps the most memorable moment of the day was when Keitany asserted herself between mile 16 and mile 19 by ripping out three consecutive sub-five-minute miles. In fact, her 18th mile split (4:55) was just five seconds slower than the leading men’s split over the same section of the course. “I don’t have the physical capability to have an answer for that,” Flanagan said. The 36-year-old Keitany ran solo from mile 18 to the end. On the all-time list, she is now the second most successful woman in the open division in New York City after Grete Waitz. Vivian Cheruiyot of Kenya finished second, three minutes and 13 seconds after Keitany. “I am happy to be second today,” said Cheruiyot, a four-time Olympic medalist in track and this year’s Virgin Money London Marathon champion. Over the last few miles, the 2017 champion Flanagan overtook Rahma Tusa—as did Molly Huddle—to place third and fourth, respectively. Des Linden, the 2018 Boston Marathon champion, finished sixth to give the U.S. three women in the top six for the first time since 1978. Allie Kieffer, last year’s fifth-place finisher, added to the American contingent with a seventh-place performance. Like Keitany, on the men’s side, Desisa also ran the second-fastest time in New York City Marathon history. Desisa, a two-time Boston Marathon winner, also became the first Ethiopian man to win the New York City Marathon since 2010. “This year I decided to be champion,” Desisa said, recalling that he had placed third in New York in 2017 and 2015, second in 2014, and failed to finish in 2016. “Today is my day. I am very, very happy,” he said. Runner-up Shura Kitata finished nearly two seconds behind Desisa. Geoffrey Kamworor, the 2017 TCS New York City Marathon champion, placed third in 2:06:26.The top-three men from today now hold three of the four fastest times in event history.